Commercial Break: Dracula’s Daughter (1936) | The Eye of Faith Vintage 11.11.11. More sensational than her father! Starring Gloria Holden, this is Dracula’s Daughter! Ostensibly based on a short story titled “Dracula’s Guest” by Bram Stoker, this film was even mentioned in Anne Rice’s novel The Queen of the Damned. 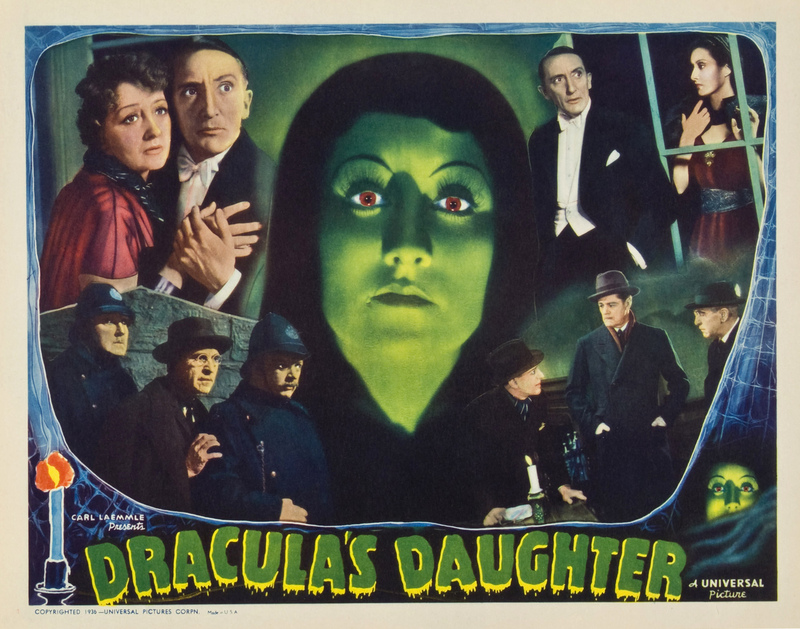 Dracula’s Daughter may not have been successful upon its original release but it garnered cult status over the decades for being such a stand out film. Modern critics have noted the strong lesbian overtones of the film, overtones that Universal acknowledged from the start of filming and which they apparently exploited in some early advertising.